Your wood’s original appeal, stronger and beautiful again. 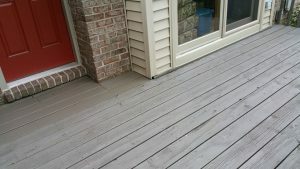 Wood is still one of the most beautiful, versatile, and durable building materials on the market today, but when wood is exposed to the challenges of the outdoors, it can become damaged, rotten, and an eyesore. If you’ve found yourself with shutters, doors, fences, or other wooden elements that are crying out for repair, don’t worry―our experts in exterior wood replacement and repair can help. Interested in our exterior wood replacement services? 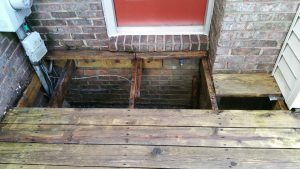 In exterior wood replacement and repair projects, there is no such thing as a one-size-fits-all solution. Our team approaches each project as a unique opportunity to create something beautiful – consulting with our customers on which aspects of your wood’s character can be salvaged and which inferior pieces need to be replaced. No matter which direction the project takes, one thing is for sure: when the work is done, you’re going to fall in love again with your woodwork. Original wood can often be refurbished and saved. We’re experts in repairing many outdoor wood features including doors, shutters, and fences. Our goal is always to salvage the original character of the wood.